In every tractor trailer case, compliance with Federal Motor Carrier Safety Regulations (FMCSR) is critical regarding an evaluation of the claim. A long list of requested items is sent to the trucking company which not only helps to preserve evidence but also is important in evaluating multiple violations usually found. 1. Copies of complete Driver’s Qualification File 49CFR Part 391.51 including past employment verification and reviews of driver’s record of violations. 2. Driver’s record of duty status (logs) for day of and day after and thirty days preceding days before the crash. 3. Any/all messages to and from driver and vehicle for day before, day of and day after the crash from satellite or cellular communications system and ten days preceding the crash. b. Dispatch records – IFTA & IRP 4 yrs. 4. Dispatch or computer records for driver involved for day of crash and preceding thirty days – showing pickup and delivery points and appointments. 5. Driver payroll records or owner operator’s settlement for week of and week after crash and preceding thirty days. a. Retention period – 1 yr.
6. Fuel receipts and fuel billing records, toll receipts, maintenance receipts for equipment/vehicle involved in the crash for day of the crash and preceding thirty days. 8. Driver’s trip sheets or individual mileage reports for trip on day of crash and preceding thirty days. b. IFTA and IRP regulations – 4 yrs. 9. 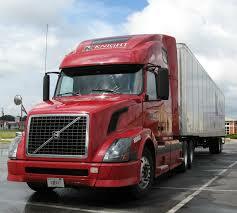 Leases, permanent and trip leases or contracts between the driver, carrier and shipper involved or equipment leased. 10. Bill of lading, delivery receipts or manifest for load on day of crash for driver involved. 11. Transponder reports, global positioning reports or cellular tracking reports for vehicle or equipment involved in crash for the day of, day after and preceding thirty days. 12. Internal memo, memorandums, electronic transmissions/e-mails, fax or any other written documentation concerning the crash. 13. Periodic annual inspection of equipment, certificates for equipment/vehicle. 14. Certifications of periodic inspector of vehicle involved in crash. 15. Certification of brake inspector of vehicle involved in crash. 16. Driver vehicle inspection reports for vehicle/equipment involved in crash day of crash, day after crash, and preceding thirty days. 17. Information of the make, year, model and VIN numbers of the tractor and trailer involved in the collision. 18. Provide copies of all reports generated from any of the following, including but not limited to, Event Data Recorder (EDR), Engine Control Module (ECM), and any and all downloadable information from management systems including dedicated memory from the Engine Control Module. 19. Please advise as to whether or not the vehicle was equipped with any QUALCOMM system, computerized trip activity reports and collision avoidance system. 20. Provide and preserve a copy of any video dash cam that was equipped on the tractor trailer unit involved in the collision. 21. Provide and preserve any and all cell phone records of the driver of the tractor trailer involved in the collision, both personal and/or business phones. It is critical to preserve this information and have an attorney qualified in this area to completely evaluate all records received. Copyright 2019 © Law Offices of Mitchell J. Alter, LLC | Designed by Ultradata Research, Inc.